Grameenphone yesterday launched its new number series starting with “013” on top of the “017” series. Md Mustafa Kamal, BTRC director general for engineering and operations, inaugurated the series at an event in Dhaka on Sunday. The rollout came through the first official call to Telecom Minister Mustafa Jabbar by the mobile operator’s Grameenphone Deputy CEO, Yasir Azman, at The Westin Dhaka. The minister hailed Bangladesh’s leading mobile phone operator by subscription for its services. He hoped it would not be difficult for Grameenphone to keep providing its 71 million subscribers with quality service. Yasir thanked the government for allocating the new series after they started running out of ‘017’ SIM cards recently. Grameenphone Chief Corporate Affairs Officer Mahmud Hossain, among others, was present at the launching ceremony. 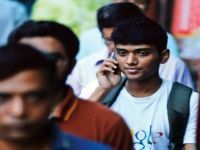 With the telecom regulator limiting the prefix to two crore connections, Grameenphone will be selling 0130 and 0131 series of equal proportions. 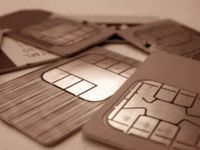 SIMs will be available at all sales outlets and the product, service and network experience alongside the price will be the same as of 017, said the operator’s officials. 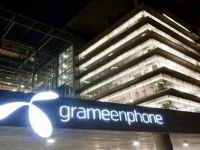 Launching its operations in Bangladesh in 1997, Grameenphone is one of the 20 largest telecom operators in the world now, the company says.